The large and varied Nou Barris district, the unexplored part of Barcelona at the foot of Collserola, includes numerous green spaces to enjoy and an active community and cultural life that moves at a different pace to the rest of the city. 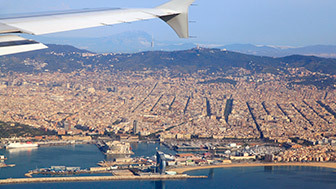 Nou Barris is one of the most unexplored and surprising of Barcelona's facets. 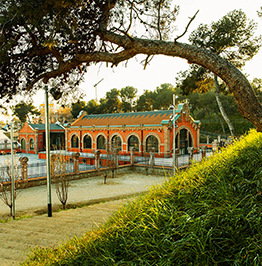 Located in the extreme north of the city, between the Collserola range and Avinguda Meridiana, and touching Sant Andreu, Nou Barris is a district of steep, irregular streets, full of green areas away from the hustle and bustle. Everywhere there are endless avenues mixed with narrow passageways and bars that have been there as long as anyone can remember. The residents, who come from the four corners of the globe, complete this unusual and diverse neighbourhood. During the huge transformation the city has undergone over the past decades, the Nou Barris district has become an example of Barcelona's new urban planning, with modern spaces and facilities like Parc Central, Can Dragó and Les Cotxeres de Borbó, that rub shoulders with historical heritage that includes aqueducts, the Rec Comtal canal, La Casa de l’Aigua, Torre Baró castle and the church of Santa Eulàlia de Vilapicina. The population and industrial growth of Nou Barris came late compared to the rest of the city, and it was not until the 1950s, 60s and 70s that it began to expand, as it took in the immigrant workers of the period. The residents of Nou Barris have always been known for their fighting spirit. The district has a deep-rooted social movement, with local associations that sprang up during the Franco dictatorship and became stronger during the political transition. This movement became the driving force for change in the neighbourhood, to make it part of Barcelona. In this way, the associations have contributed to the neighbourhood's integrated and cohesive social dynamic. This social consciousness is reflected by the cultural wealth found in Nou Barris, which includes input from many places and results in unique and innovative cultural offerings. One example is the Ateneu Popular 9 Barris, the city's benchmark when it comes to the world of the circus. To the north, the mountainous relief of steep streets and expansive green areas hides still less-known neighbourhoods: Canyelles, Roquetes, Torre Baró and Can Peguera. Corners of the city that preserve a more leisurely rhythm of life and fragments of the country's history. And where it is possible to enjoy gastronomic itineraries at pocket-friendly prices that are not easy to find in other parts of the city. 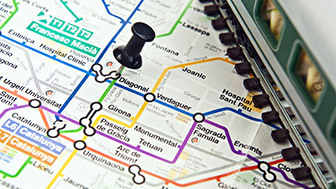 The southern part of the district borders on Horta-Guinardó, and a large part of the neighbourhoods that make up Nou Barris were historically the surrounds of the old town of Horta and Sant Andreu del Palomar. Like Horta, before its expansion as an industrial area, Nou Barris was a rural area of farmhouses, masies, like Can Basté and Can Verdaguer, which are still there today. Near by, the neighbourhoods of Guineueta, Verdun, and Torre Llobeta i Vilapicina hide truly authentic working-class squares and tucked away corners. One of the most important shopping hubs in the district is Via Júlia, known as the Rambla de Nou Barris, which has big stores, bars and little shops on either side. Very close to Vila Júlia are Passeig de Verdum and Passeig de Fabra i Puig, two of the main arteries through which the life of the neighbourhood flows. Here you can enjoy authentic taverns and restaurants where it is possible to eat both well and cheaply. 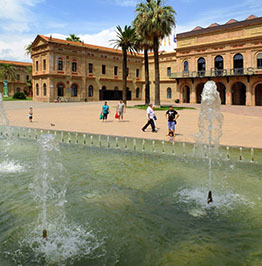 The best-known green areas in Nou Barris are Parc de la Guineueta and Parc del Turó de la Peira. 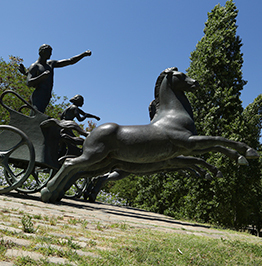 Particularly noteworthy is Parc Central de Nou Barris, a vast green space which is unique in the city for its grandness and natural riches. Also in the park there is an old asylum, the Hospital Mental de la Santa Creu, which was built by the architect Josep Oriol Bernadet in the 19th century and currently houses the district offices, the municipal library, the Guàrdia Urbana (city police) and other municipal bodies. Parc Central de Nou Barris is one of the biggest in the city and an unrivalled green zone, with more than 30 different tree species. 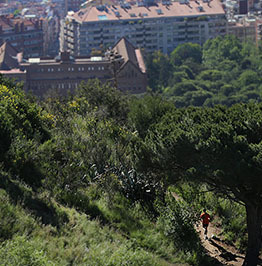 The Collserola range, located in Barcelona's metropolitan area, is the green lung on the outskirts of the city centre and a great place for leisure for anyone wanting to enjoy nature. 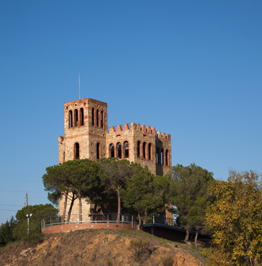 Visible from many parts of the city, Torre Baró Castle is one of the icons of the Nou Barris district. In Can Dragó the residents of Nou Barris have one of the biggest green spaces in the city, a place for doing sport, enjoying some leisure time and appreciating nature in all its splendour. 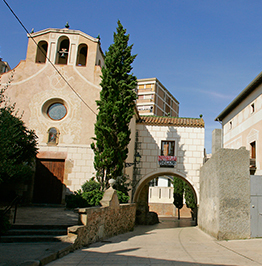 Originally rural and known by few people, Santa Eulàlia de Vilapicina is a historical centre in the middle of the Nou Barris district. 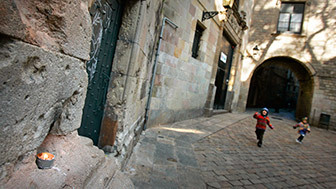 The old water-supply point for the city's northern neighbourhoods, Casa de l’Aigua, is now an iconic cultural attraction.